Friday night my wife and my 3 ½ year old daughter Lilah picked me up at work to go have some dinner. When I opened the car door, Lilah, who it appears was about to explode from waiting to tell me something, blurted out “Daddy, daddy, daddy LOOK!” and pointed off to the west with an excited look in her eye. I followed her finger to a spot above the horizon where a thin sliver moon was shining down with Venus just a finger width to its right. “It’s Venus and the moon,” she breathlessly exclaimed, “and the moon is little but it is pretending to be full,” her words to describe the ghostly outline of the full moon seen in the background of the bright glint of the crescent moon. I do indeed remember that. That moment was the December crescent moon, three full lunations ago. It was also the moment that I like to think of as the final episode of the first season of Mike Brown’s Planets. Like any self-respecting TV production, I’ve been taking a summer hiatus. It’s just that my hiatus occurred during southern summer rather than northern summer. Name a satellite of a Kuiper belt object! I’ll tell you about the Kuiper belt object and its satellite and then I’ll take suggestions of what to name the satellite (and why). The best suggestion will get forwarded to the IAU as the official recommendation. Life, death, and the Kuiper belt. A (slightly belated) look forward at discoveries that might be made in 2009 and a look back at the 2008 predictions to see how many, if any, came true. Why Pluto is still not a planet and should remain that way. Things in the sky that make me smile. Stay tuned for Season II! Ooo! Are we finally going to have a name for the satellite of Orcus? It's about time. Has the name Weywot been formally submitted for Quaoar's satellite yet? And you also have my full support for Pluto remaining a planet, and I look forward to hearing your predictions for 2009! Does the season include commentary on Lellouch et al.? Nice to see you back on your blog! This season II looks appealing! I hope you will speak too about 2007 OR10 (congratulations by the way). It is really a pity that it received so little coverage from science media. A sign of times that an object probably in the Top30 or Top35 of Solar System bodies by size has been ignored. Speaks volume of how banal this has become. Would have made the front pages ten years ago. It is mainly discussed by babbling nonsensical astrologers and not by rational minds. A pity. In your very interesting paper you focus on the statistics for Sednoids but do not dwell much on 2007OR10. I am eager to get your prognosis for the diameter and albedo for this 1.9 absolute magnitude object.And see it receive attention as an object per se, not just an element for statistics. I think I'm going to go stand half-way out on the Eads Bridge with one leg where Pluto is a planet and one where he is not...and make some comparison notes. Sorry, Tom, this time it took me a week, but that's only because I'm busy writing many articles advocating the overturning of Pluto's demotion. It's a free country; keep writing why you believe Pluto is not a planet, and I will keep responding as to why it is one. This debate isn't over. Oh, and one more thing. I'm not in Illinois, just supporting Illinois' proclamation, which makes more sense than that of the IAU. 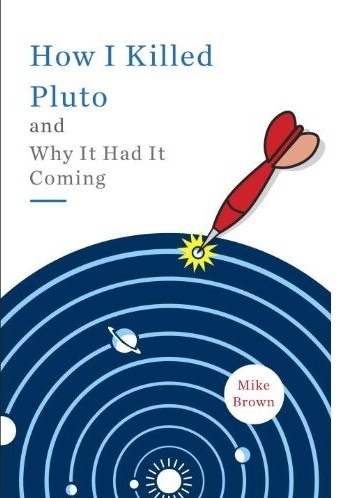 That and I'm working on a book about Pluto and why it is a planet--it should be out sometime in 2010 or 2011. I like your blog description, where you say you will write about "planets (full and dwarf)". This tacitly admits that a dwarf planet is a kind of a planet. It's just so silly to say that a dwarf planet is not a planet. In the way you have categorized things here, dwarf planets can be clearly distinguished from other planets with whatever properties we care to assign them. This solves the entire problem. What a relief! Now we can move on to more interesting things.